I personally don’t celebrate Christmas, but there are certainly aspects of the holiday, and of the season, that I get very excited about (I’m looking at you, Fresh Balsam candle and of course all the sweets!). I really like the idea of advent calendars, especially when they’re full of family and friend bonding activities! 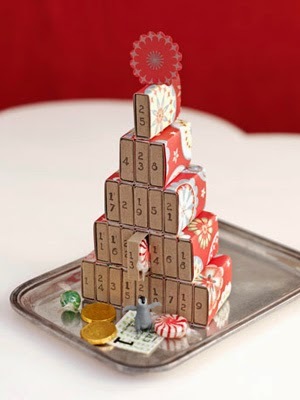 I just had to share this tiny DIY advent calendar from Country Living.